The oversight has drawn widespread criticism, including from certain sections of the British media. The Sun newspaper, which broke the story on Tuesday, claimed "The move will cause outrage among Jews and Muslims, whose religions forbid the eating of pork." It is notable, however, that no mainstream media outlets currently have any direct quotes from members of either community regarding the oversight by Whitbread. The whistleblower, who remained anonymous, said: "I spotted the packs marked 'beef lasagne' started coming in as 'meat lasagne'. I looked at the ingredients and noticed it actually contains pork and beef." The whistleblower said the packaging was not seen by customers, who only see the prepared product when dining at Whitbread restaurants. Without updating the menus, therefore, customers would have no way to know what was contained in the lasagne. "I queried it with management but they didn’t care. Three months on and the menus still say beef lasagne, and waiters have not been told to warn customers." 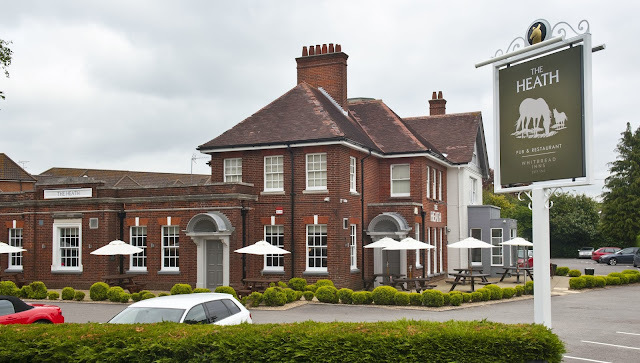 In response, a spokesman for Whitbread told the BBC: "We mistakenly, and with no ill intent, missed updating the website/online menus for our Table Table and Whitbread Inns brands, but as soon as we were alerted to this we corrected them. This was a genuine mistake on our part and we sincerely apologise to customers if this resulted in any confusion when they were presented with the correct menu at the restaurant." Nevertheless, when it comes to the Sun’s claims that the restaurant failed to change the hard copy menus available in restaurants, the spokesman told the Telegraph: "We strongly refute the Sun's claim that we have added pork to our lasagne recipe at our restaurants without telling customers. We believe that the Sun is using an old menu which has not been in use in our restaurants for some time. "We changed the menu from beef lasagne to a more authentic lasagne recipe that includes pork in September last year and, at that point, we updated the menus in all of our restaurants to reflect the change. "As most people will be aware, a traditional Italian lasagne recipe would typically include a beef and pork ragu. We are confident, therefore, that our customers would have been presented with the correct menu when ordering their meal." The episode will serve as a warning to food manufacturers and retailers of the potential for media scrutiny if food products are improperly labelled at the point of sale.